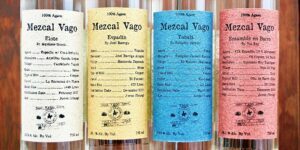 For the month of April, Tahona hosts Vago mezcal. Please join us for a special four course dinner paired with four different expressions from around Oaxaca. Owner Judah Juper will be joining us, walking us through each expression. Through each course, you will gain a greater understanding of terrior paired with specific, authentic flavors to Mexico curated by Executive Chef Adrian. We will also be doing a Vago hosted happy hour from 5 pm-7pm. Please register on Eventbrite to secure your seat!